What is the Importance of Office Layout? ​Work that needs to be executed for each type of tasks requires the necessary equipment within the allotted space. The office layout has to be designed in such a way that it is comfortable as well as functional. Lot of money and time is invested in designing those layouts. 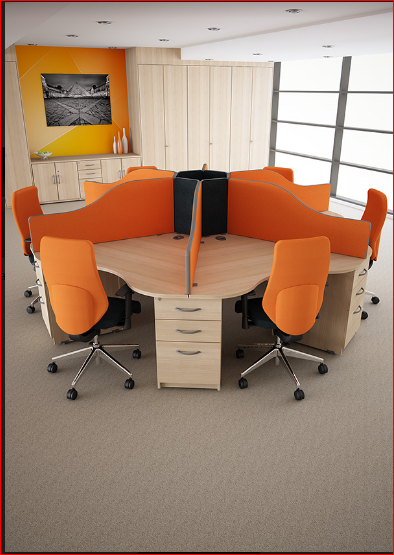 There are various reasons behind the need of having a proper office design layout. 1. Impacts morale: Studies have shown that layout of office impacts the employee morale which affects the functioning. When we say layout, it does not imply only the décor and facilities, but the relationships between people who work there and the general environment. Often this is referred as ergonomics. 2. Impacts business: As layout has impact on the morale, it directly impacts the efficiency and thereby the business success rate. The more the people working there are happy, the better is the output. This is direct link to the business success factor. 3. Way the work is done: The traditional style of work like working at one desk or work executed by only one person has been replaced by re-engineered organisational structure. The work or task at this modern age has changed due to globalisation that is governed by the use of information technology. The tremendous developments in this technology has impacted the office working hours and way to perform the tasks. 4. Manage changes: Businesses are prone to changes to manage the pressure of the market needs. To keep up with it, layouts are effective only when the changes can be accommodated within. Hence, having simpler layouts helps business to re-design whenever needed so that it does not affect the tasks being executed or the work done. 5. 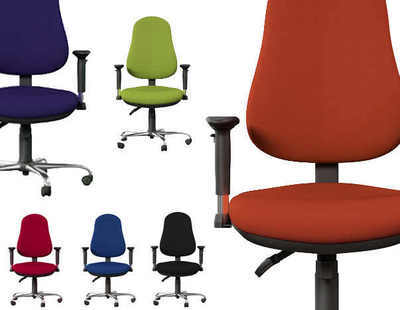 Increase productivity: Using the office space effectively is important while designing office layouts. It should be such a way that it does not delay the work and job gets done quicker consuming less time. In other words, the flow of work is not interrupted. 6. Facilitate Supervision: When office layouts are designed to place managers or supervisor closer to their teams, they can meet or discuss issues immediately and get solutions. The communication gets smoother and quicker. How? There would be reduced number of internal memos or emails or movement of staff. 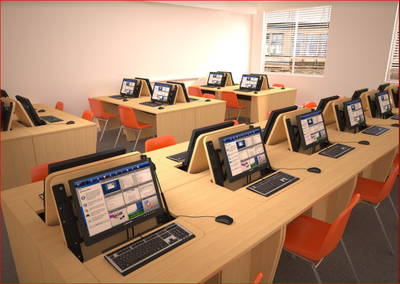 The working conditions would be better as their workstations are placed in relation to their work and needs. 7. Effective use of equipment: Designing office equipment’s properly is indeed very important so that it is not underused or overused. Providing at the place where the work needs to be completed is crucial. The power consumption is evenly distributed and the noisy equipment are placed away from workplaces where silence is required. 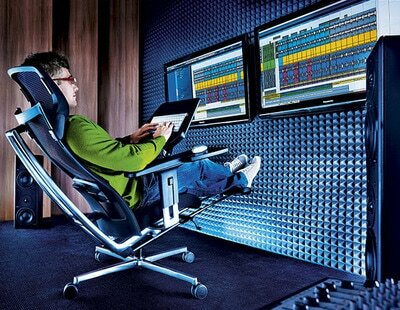 Hence, you would now know that the positioning of workstations is crucial. 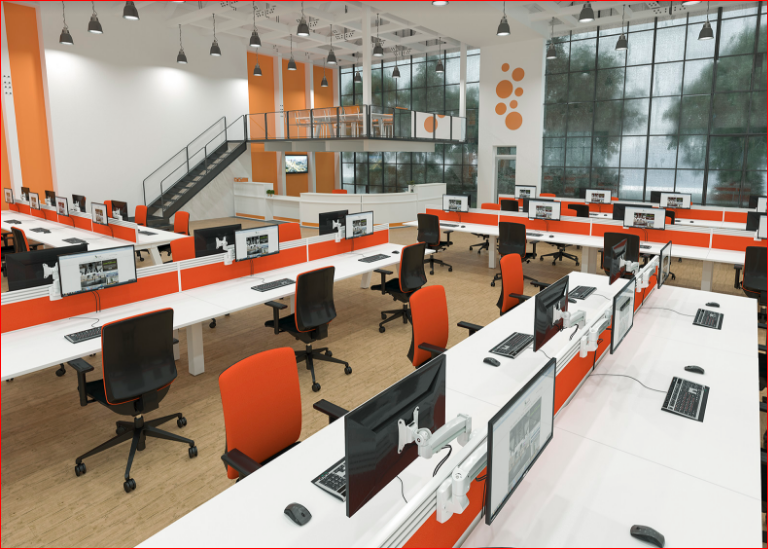 For this you need to pay attention to some of the issues like provision of sufficient space, assessing the needs of staff, design of workstation; inshort complete office design. What are the Objectives of the Office Layout? 1) To ensure proper utilisation of space so that the spaces provided are effectively used. 2) To ensure that work flow is uninterrupted and there is maintenance of steady flow. 3) To ensure that the managers can supervise their team members in a better way. 4) To be able to provide a comfortable work environment which brings satisfaction. 5) To enable better communication between the team members. 6) To provide a safe working environment. 7) To have provisions for future expansions. 1. Natural lighting: Designing offices that face the north or east gets more of natural lighting. It avoids more consumption of power. 2. Placing computers: Desks having computers or desktops must be placed in such a way that staff sitting at it must not have their backs or faces to the windows. 3. 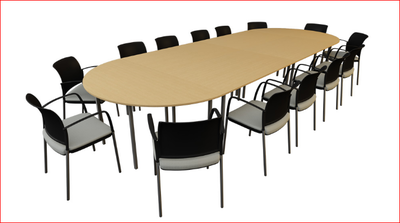 Designing work tables: It is preferable to seat staff not facing each other. It is said to disrupt work. Besides having minimum intrusion is better. Also reducing the field of vision of employee to other employees will reduce distraction. Also they need to be provided with adequate lighting, ventilation, and ergonomic chairs and tables to prevent eyestrain and muscle aches. 4. Flow of work: By carefully studying the sequences of the tasks to be done, the design of the work space is imitated. If the person has to go back and forth in the space it will bring frustration and reduce output. Ensure that flow of work is smooth and in one direction. 5. Pleasant: The most important of all the aspects is that design should be aesthetically pleasant. Do not concentrate on functionality alone but also on its looks. The space has to be optimally used. 6. Provision of tools: Assignments are completed quickly if they have the necessary space and tools to perform them. The work station should be spacious enough to accommodate their files, papers and their documents. Having copiers and printers closer to them is better to avoid them frequently moving out and wasting their time. 7. Grouping: Placing same functional type of work together or closer to each other will help to reduce time wastage. The employees have freedom to consultation and information easily so that work is handled efficiently. 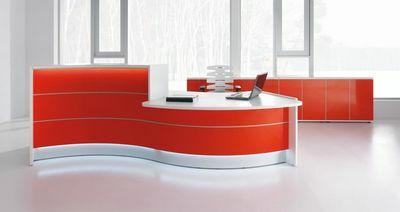 Hence, it is better to list out the functions or tasks that employees perform and design the office layout accordingly. 9. 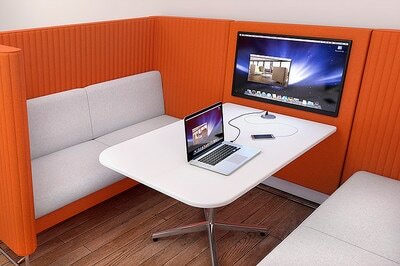 Informal and formal spaces: Every work space do require employees to take breaks in between work. For this, communal spaces are designed that is closer to the work stations. These informal communal spaces are often build with more space to accommodate large numbers during coffee or lunch breaks. 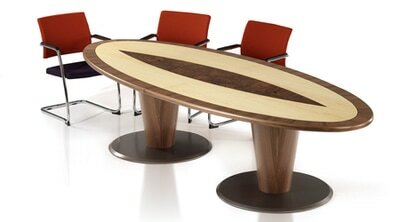 The informal communal spaces meant for conferences or meetings are often placed away from busy work space that is noisy. 10. Security: As it is aware that information is very critical to any business, care needs to be exercised to define a level of security and norms for workstations processing data. 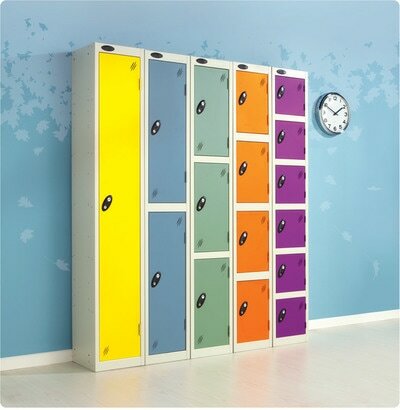 Mainly the storage of confidential and sensitive data has to be placed away from main work space and protected. 11. Reducing risk: Designing has to be such that it reduces risk of accidents or falls. 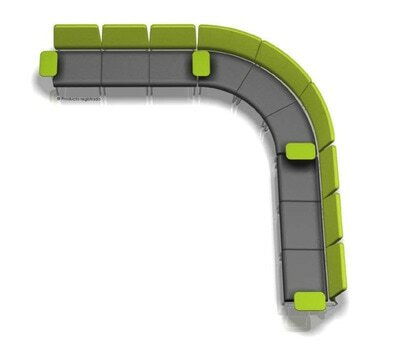 Allowing ergonomic norms of wiring and placing of tables, chairs, and work stations provides safe working conditions. The safety would be maintained. 12. Reduce distances: While figuring out the work space the distance between movements of each task has also to be considered. Movements like walking, carrying, pulling consumes time and energy. It causes exhaustion thereby reducing effectiveness. Hence, distances has to be reduced to minimise costs and energy. 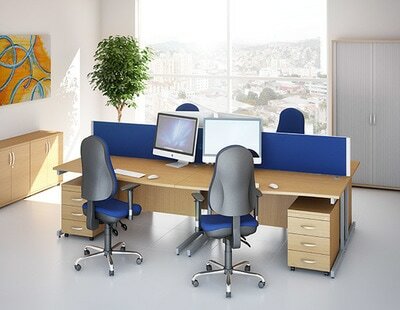 The office layouts are broadly classified as general office layouts and private office layouts. The latest layouts are combination offices, co-working office, narrative layouts, nodal layouts, neighbourly office, and nomadic office. 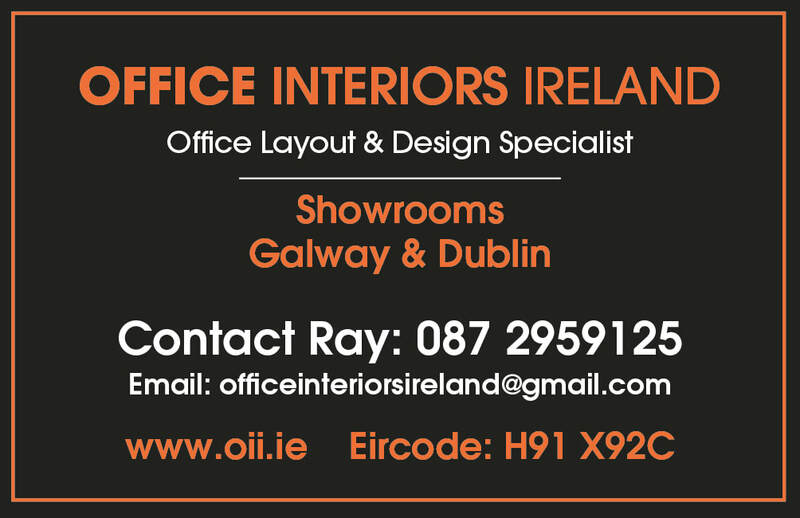 The general office layout:The general office layouts are of two types – the open plan office layout and landscape office. 1. The open plan office layout: As the name indicates, the open office plan layout does not have walls or separators or passages. 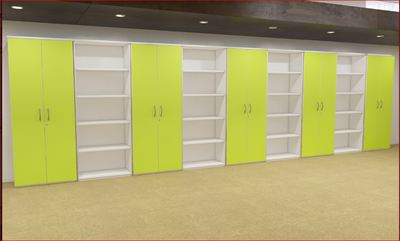 Cupboards, shelves screens, cabinets serve as separators between workstations. All staff are seated in the same direction. This is useful for teams and employees who are working on a similar project. 1) To reduce costs and saves space. 2) To facilitate communication as there are no phone calls and less memos. 6) To motivate staff within group. 2. The landscape office layout: The concept is the same as open plan layout with the only difference being that the staff are seated in different directions unlike in open plan style. It was not preferred much as it did not give privacy and the staff working in such layouts complained of being exposed to noise and continuous movement of people around them. It was also said to have destroyed the conventional forms of politeness and being civil. It later was referred to as ‘modified\ open plan style’ with plants around and preassembled cubicles that can be moved accordingly to accommodate more people. 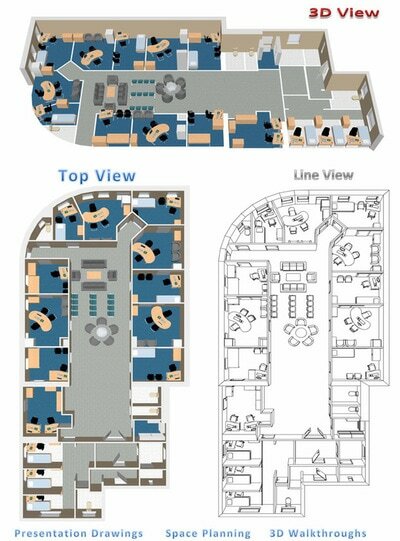 The private office layout: The private office layout refers to cellular styles where the interior walls stretch from floor to the ceiling. 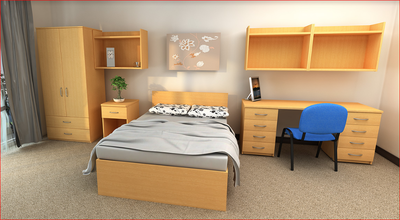 The space is normally occupied by one person, but depending on the company’s budget, two or three are accommodated. But mostly it is preferred seating for senior management to give privacy. Though it is considered as a privilege and prestigious to occupy, these type of offices are indeed a valuable place as it indicates high level of confidence in the work of the occupants. The private offices are often given where privacy and confidentiality is required. Besides, these offices are secured well through proper locking systems. These types of offices are lined along passages or sometimes ad hoc according to space. The combination office: It is a combination of open and cellular types where the individual and multicellular types co-exist. The offices surround the common spaces instead of being connected through hallways. This helps for individuals to concentrate on their work and also allow communication within the team, denoting the person(s) has to perform solo and group activity. Co-working office: With laptops replacing the personal computers, employees are increasingly becoming mobile with their work. The arrangement where the office is considered as a common sharing place where employees come and go. The worker is exposed to an open office style with no specific allocation of desks. It’s suitable for self-employed where the individuals can pay a small fee. This helps them to interact with customers and also enjoy networking. The narrative office: As story narrates about the character in depth, so does this style of layout that describes the ‘brand’ of the company. This approach is to make the office itself get involved in the marketing of its brand wherein all the staff are considered as brand managers or front line staff. The nodal office: The office is designed such a way that it is considered as a hub or node for knowledge where all other offices are connected. The neighbourly office: Here the office is designed to give a look like a familiar neighbour with a landscape with it. It gives a feeling of being social. The nomadic office: As the name itself suggests, the office designs are typical of nomad style wherein the workspace is distributed within.